Common foundation issues include settling, cracking, shifting and more. Most home foundations do settle minor amounts over time mainly due to the total weight of the home. As long as the settling is minor and even there should not be much cause for concern. Where the home settling is more than normal during a short period of time or happens unevenly then without costly repairs the structure of the house will begin to suffer. Shifting foundations where the basement walls are collapsing inward or outward can also subject a home to major damage. Until secured in place with additional supports those shifting walls can keep moving until the wall completely collapses. Those foundation walls that have collapsed will impact the structure of the home causing damage both to the interior and exterior of the home. 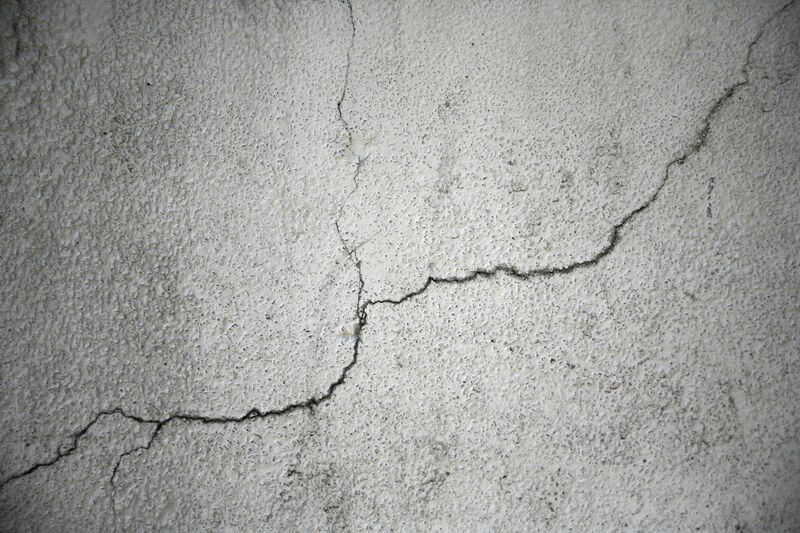 The best way to avoid homes with foundation issues is to observe on your own any signs of uneven flooring, large cracks in basement walls, or large cracks in bricks on the exterior of a home. A home inspector should be able to give homebuyers some peace of mind when doing the home inspection by making sure they don’t see anything wrong with the foundation. Sometimes home inspectors may not be sure of the true extent of foundation issues and will recommend a structural engineer evaluate the home and structure for a more definite opinion. As noted above, foundation issues can lead to structural problems within a home. While the foundation is part of a home’s structure the above ground structure of the home can also suffer from problems through no fault of the foundation at all. A majority of recently built homes are made of wood and wood is subject to its own set of challenges that can weaken the above ground structure of a home. From poor workmanship, water damage, to mold and pests the wood structure of a home can easily be compromised where the livability of it can be called into question. Slow leaks over time can lead to wood rot through mold infestations that weaken the ability of the wood to keep the home standing straight. Water is one of the primary ways mold is allowed to get a hold on the wood and cause it to fail over time. As enough wood decays over time entire parts of homes will have difficulty staying up and especially during harsh weather conditions the homes structure can be compromised. If you suspect water leaks or mold a mold inspection can be performed to determine if there are mold issues in the home. Sometimes it may pay to have a deeper inspection of a home’s wood structure if there is the possibility that mold or fungus affected its structure at some point in the past. Another way the structure of a home can be weakened is by pest activity. One of the most common pests that can cause extensive damage to wood are termites. Termites are small ant sized insects that consume wood and other plant material. In the wild termites are a great addition to forest in that they help keep decaying wood and plant matter from gathering up too much. In a home termites can quickly wreak havoc on the wood that is used to hold up a home. Too much termite damage can mean an area of the home where the structure could collapse at any time. Termite inspections (and treatment if discovered) are strongly recommend for any home that is built using wood. There are other wood eating insects that can destroy the structural support of a home so when buying a home always ask for a pest inspection. Many mortgage lenders require at a minimum a termite inspection be performed prior to them approving a loan to buy a home. Every modern home has plumbing designed to get warm and cold water to where it is needed and the waste water away from where it is produced. When plumbing works everything in the home is fine and the homeowners can deal with other more pressing matters. When plumbing does not work properly then usually comes the time to set everything else aside and deal with the problem. Not every plumbing problem though comes up all of a sudden with an immediate demand to fix it now. For instance slow leaking faucets or drains with very slow leaks may not be noticed or may be ignored since the leak is small. On the other hand hidden slow leaks can cause major problems over time if not addressed sooner rather than later. As mentioned above the combination of water and wood can lead to mold and rotten wood which could mean large home structural problems. As a lot of plumbing pipework is often behind closed walls finding leaks may not be a quick process so it pays for homebuyers to be aware of the common signs of water leaks in homes they are considering buying. Depending on the location there can be musty smells to indicate the sign of a leak, water stains, miss matched fresh paint on top of old paint to cover up water stains and more. Long term water problems that were not dealt with in a timely fashion can lead to long terms headaches dealing with mold and/or water damage cleanup. Many home inspectors have electronic devices that can tell if a water stain is still moist or they may use a thermal camera to detect cool spots caused by water leaks. When buying a home it is always wise to have a home inspection done. If the home has a sump pump or sewage ejection pump particular attention should be paid to those areas as failure in either of those systems could lead to major flooding in the home or sewage backing up into the basement. Sewage ejection pumps are found in homes where the lowest portion of the home is below the sewer drain line and thus a pump is required to move sewage from a basement or outdoor area to the public sewage line. Often times these sewage pumps contain a primary grinder pump (similar to a sink garbage disposer) and sometimes have a backup pump. If there are sewage odors in the area of the pump the system should be checked for proper operation by a licensed plumber. Sump pumps should also be check as they pump out excess water from around the foundation away from the home. The best sump pump systems have battery backups and alarms to notify the owner in case the water gets above a certain level. Similar to plumbing, a majority of electrical wiring for a home is behind walls and under floors where it is not easily seen. Electrical issues can also cause major damage to homes if a short circuit happens to start a fire or shocks one of the occupants of the home and as a result should be taken seriously. Older homes with aluminum wiring or knob and tube wiring have a much higher risk of electrical fires due to the way those wiring systems were installed and the degradation of their condition over time. While homes with the old knob and tube wiring or aluminum wiring can be replaced with safer modern copper wiring the expense can be quite high to disconnect old circuits and run wiring for new circuits through closed walls. Such electrical updates should only be handled by a licensed electrician. Even with copper wiring electrical hazards can be present especially if the homeowner did upgrades or fixes themselves without really understanding how they should be done. There is the possibility of wires behind walls being damaged from nails being put in to hang up artwork. Short circuits can happen when switches or electrical outlets are wired incorrectly as well. Your home inspector should have testing equipment that can determine if outlets are wired correctly, are grounded or if they even have power running to them. Too many electrical problems in different parts of a home may be a red flag that homebuyers may want to consider passing on the home and finding something else instead. Some pests like termites can cause quite a bit of damage to a home’s structure. There are many other wood destroying insects that also can cause problems in and around the home and homebuyers should be on the lookout for signs of wood damage in areas where the wood is open to be seen. Other pests like ants, mice, rats, bed bugs and more can be lurking in hidden parts of the home and can be quite a surprise to the new homeowner when they move in and suddenly find mice eating their food. Rats and mice are notorious chewers and can chew through wood beams, drywall, insulation, electrical wiring and more. Rats and mice are more commonly found in dark areas like basements or attics and are not always visible for the homebuyer touring a home for the first time. A home inspection should include an attic inspection and if the home inspector is able to get into the attic sufficiently they should be able to see signs of mice and/or other larger animal infestations like squirrels or raccoons. Squirrel or raccoon activity may be detectable from the outside of the home by looking for small openings in and around attic areas of a house. Whereas ants are easily controlled with liquid or solid baits, insects like bed bugs can be difficult to control and hard to locate. Bed bugs can affect anyone and is not confined to one particular socio-economic group over another. Those who travel more often may find themselves in contact with bed bugs more than they think. Bed bugs hitch rides in luggage all the time and of the top three places where pest control professionals find bed bugs hotels/motels are number three on the list. Signs of bed bugs include seeing the bed bugs themselves, seeing bed bug droppings (which look like little black dots) or seeing empty beg bug egg shells which are usually yellowish and about the size of the tip of a pen. If you suspect bed bugs in a home ask a pest control professional to give an opinion or consider another home. While buying a home is generally a process that does not have too many pitfalls there are some common areas that tend to have large or costly problems involved. 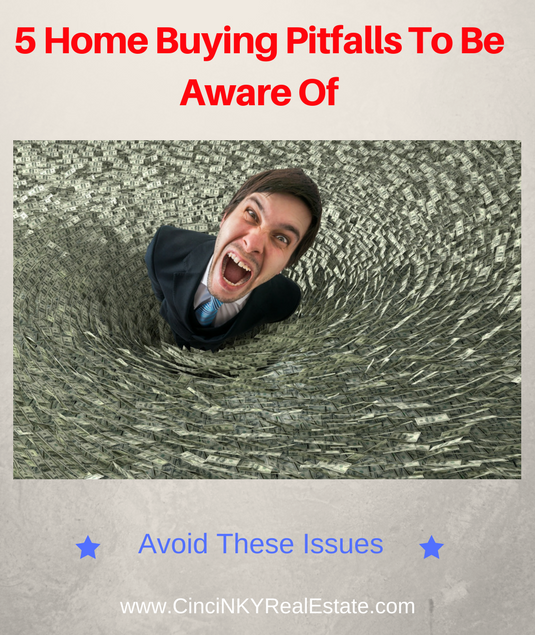 By being aware of the problem areas home buyers can better position themselves to buy a home that is right for them and will not be surprised by unexpected issues. As with any home purchase homebuyers should have a home inspection done in order to ensure there are very few problems with the home that will surprise them after they close. About the author: The above article “5 Home Buying Pitfalls To Be Aware Of” was provided by Luxury Real Estate Specialist Paul Sian. Paul can be reached at paul@CinciNKYRealEstate.com or by phone at 513-560-8002. If you’re thinking of selling or buying your investment or commercial business property I would love to share my marketing knowledge and expertise to help you. Contact me today! I strongly agree with you about pests, because before buying a house we also need to know whether the house has been attacked by pests or not. because if we don't know it instead we will lose. thank you for the information.